Alecia Whitaker Winfield | Littler Mendelson P.C. Alecia W. Winfield advises and represents a broad range of employers in industries such as manufacturing, healthcare and retail, among others. She works with in-house counsel and human resources to provide advice and counsel on challenging personnel and policy-related issues, corrective actions, terminations and leaves of absence. She defends employers in single-plaintiff discrimination, harassment and wrongful termination lawsuits, and wage and hour class actions. 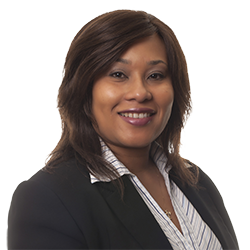 As a core member of the firm’s Employment Practices Audits Practice group, Alecia oversees and implements employment practices audits using the firm’s innovative technology product, Audit QB. She works on audits locally and nationally, which include reviews of wage and hour compliance under the Fair Labor Standards Act, state wage and hour laws, and state and federal overtime exemptions.